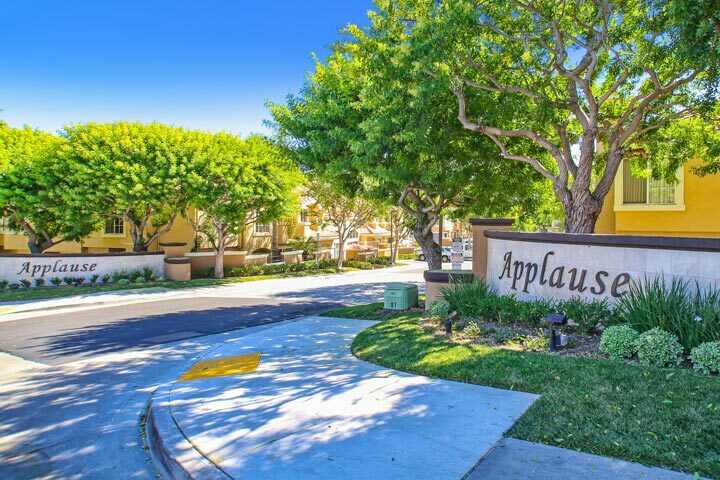 Applause homes are located in the coastal community of Aliso Viejo. 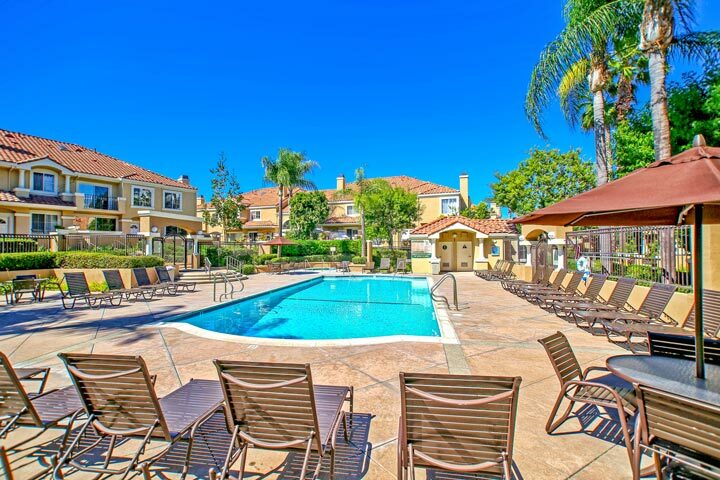 The community is centrally located in Aliso Viejo and features two to three bedroom town home style condos that range in size from 1,327 to 1,800 square feet of living space. Some of the features found in these homes include vaulted ceilings, living room fireplace, large kitchens and attached garages. Below are the current Applause homes for sale and for lease in Aliso Viejo. Please contact us at 888-990-7111 with questions regarding this community and any of the properties listed for sale here. The Applause community is under a homeowners association with monthly dues required. There are a total of two dues that are paid on a monthly basis and include use of the central community pool as pictured above, water and trash. The community does have an additional Mello Roos tax as well. Please check with your local real estate agent on the exact cost.